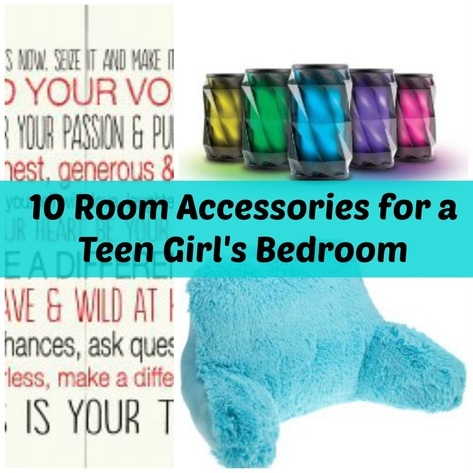 One of the most popular gifts for teen girls are items to accessorize their bedroom. Their room is quite often the only space they have to themselves and it’is often important to them for it to look good for when friends come around. So, accessories and decorative items often make great gifts. But even knowing this it can be difficult to know what to buy. To help you out, here is a list of 25 cool gift ideas for a teen bedroom. If a teen girl has friends around, its always nice to have an extra chair that her friend can sit on. A chair in the room is also great for her to sit on and chill out. Perhaps, she might like to read, watch TV or listen to music while relaxing on her favorite chair. Some ideas of chairs you can buy as gifts include bean bag chairs, a bungee chair and gaming chairs. Gaming chairs are obviously designed to play video games on, so if she is a gamer this will be perfect. A teenager who has an cell phone such as an iphone will appreciate a docking station to charge her device on. You don't have to worry about losing or looking for a charger as your docking station will just be on a table in your room. Docking stations normally also have features enabling you to listen to music from your device while its charging. Some have alarms too. Posters of her favorite band, celebrity or pop star will be a winner if she is allowed to display them on her bedroom wall. She may also like some wall art. ​Perhaps it could be framed and displayed. 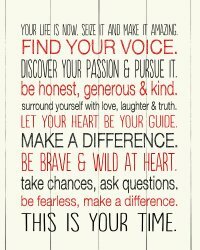 There are some really nice posters and wall art which also feature inspirational messages. These are nice to be reminded of everyday. Consider the colors of her room when choosing prints and other pieces of art. Cushions and throw pillows add comfort and relaxation to a room. There are all kinds of cool pillows. 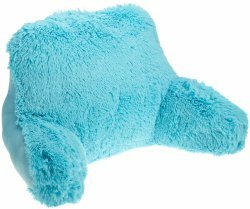 One of my favourite are microwaveable pillows that you can warm up in the microwave and will keep you warm in the winter. Bluetooth speakers will stream music from a cellphone, tablet or any device which has bluetooth wirelessly. 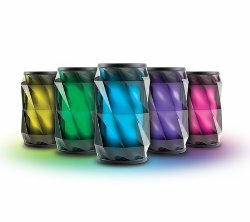 They are great for using to listen to music in a bedroom but most bluetooth speakers are small and very portable so can easily be transported to friend’s houses, outdoors, to the park or wherever she wants to listen to music. They can also be used for playing sound on videos she may be watching on a tablet, phone or laptop with bluetooth. There are mny kinds of lamps that make great accessories for a teen bedroom. A desk lamp is great for using to do homework. Nightlights are perfect for reading in bed or if she just likes dimmed lighting as she falls fast asleep. There are also lots of lamps that are great for decorative purposes. Lava lamps are pretty and mesmorizing to watch. There are lamps you can get in the shape of gummi bears that you can also squeeze to turn on and off. Bed rests sound like something for older people but they are very useful for a teenager who likes to sit on her bed or the couch and look at a laptop, tablet or read a book. It gives extra support and they are extremely comfortable too. They come in different colors which will match the design of her bedrooom. It’s well known how hard it can be to get a teenager out of bed. Therefore an alarm clock can be extra useful. There are alarm clocks which are extra loud and have bed shakers which will literally shake the bed until a teenager wakes up and turns the alarm off. If she has a TV in her room she may also appreciate a media streaming player such as the Amazon Fire Stick. Google Chromecast or Apple TV. Media streaming players will allow her to have access to extra TV and music channels via a wifi connection. One to look out for in late October 2015 is the new Apple TV which is set to change the way we watch TV in the future. Some of its notable features include a loaded app store and a remote control that works with Siri.